Big Y provides its years of expertise marketing snack, grocery, fresh made ready to eat offerings, and many of Big Ys private label products. 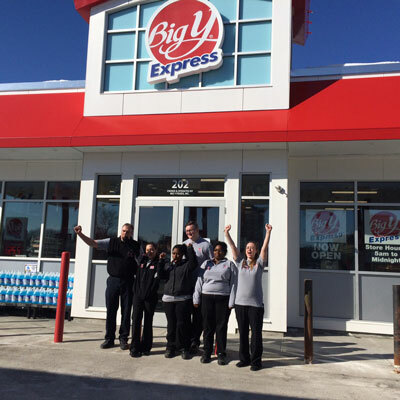 Big Y Express Big Y Silver Savings Card customers can use their card to save money on gas purchases. Look for Specials and Promotions for more great savings. Big Y is one of the largest independently owned supermarket chains in New England. Founded in 1936 by brothers Paul and Gerald D'Amour, the company currently operates 70 stores throughout Massachusetts and Connecticut with almost 10,000 employees. Currently, both the second and third generation of D'Amours, are at the helm of the company.